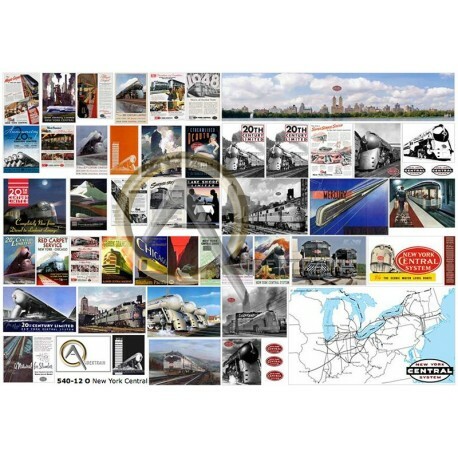 30 New York Central railway posters. 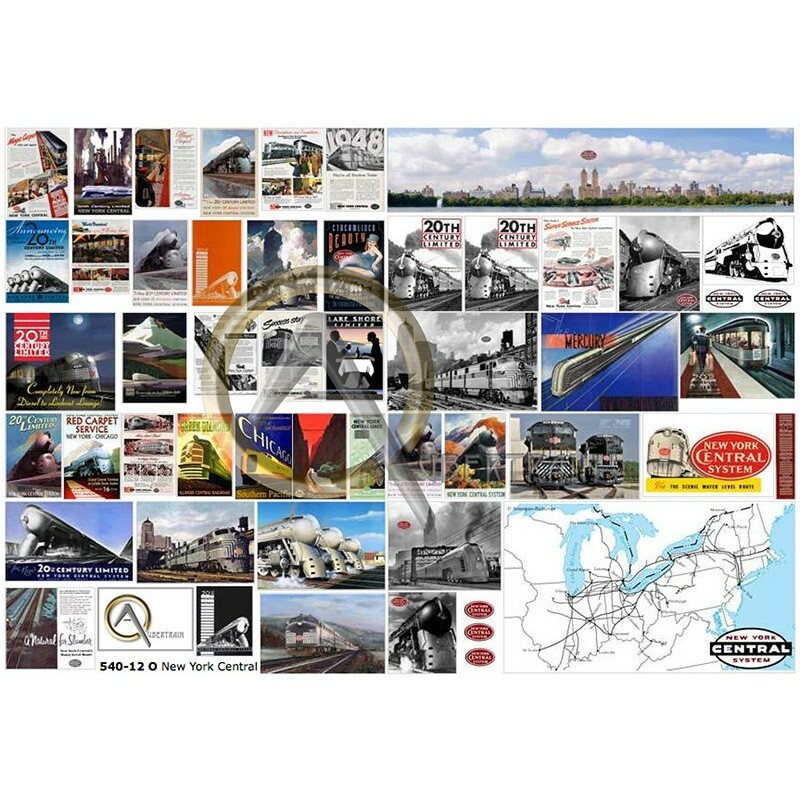 First class graphic material reworked and enhanced, individually printed on photographic paper Epson ™ archival matte paper on high definition printer in 1440 and 2880 DPI. Supplied in plastic blister. Single mailing between two sheets of cardboard. Individual cut and paste posters. Size : 202 x 141 mm. O scale.